As you enter a brand new year, it is time for resolutions and promises to yourself. If you are still undecided about yours; how about becoming more productive? When it comes to working on the Web, having a productivity strategy The Firefox Productivity Strategy You Need to Try Now The Firefox Productivity Strategy You Need to Try Now When it comes to productivity, it would seem less is more. Apply this minimalist approach to Firefox and see how it turns out. Read More or system is important and begins with your browser. For those who use Firefox, we have suggestions and add-ons that can assist you in successfully satisfying your productivity resolution. No matter what your job or pastime is that leads you to open Firefox each day, being more productive often starts with your favorite browser. Your setup and your tools Get Productive Now With The Best Back-To-School Browser Set-Up Get Productive Now With The Best Back-To-School Browser Set-Up From extensions to bookmarks that you will use throughout the school year, taking some time at the beginning of the term to get your browser ready will save you time later. Read More are the keys to a useful, convenient and ultimately, more productive Web experience. It is likely you have already configured your settings to accommodate privacy, security, syncing, and even how and when to open a new tab. But, you first need to think about how you work in Firefox to create a system. Do you open many tabs to accomplish your task? Do you need quick and easy access to a plethora of your bookmarks? Do you capture a lot of notes from online sources? Do you need to visit your to-do list constantly to stay on track? If you answered yes to any or all of these questions, then you are already on your way to being more productive. Your personal productivity system should consist of obtaining and setting up tools that allow you to work smarter and faster. Think about what you need most and take a look at our suggestions to see which one, two, or even 25 will assist you in becoming a more productive Firefox user How I Made My Browser Insanely Productive With This One Simple Trick How I Made My Browser Insanely Productive With This One Simple Trick What if you could get most of your digital work done without the Internet? I have a solution for you. Take your browser offline. Read More in the new year. For those who switch between tabs often, whether to copy and paste or research and study, Tile Tabs [No Longer Available] is a terrific tool. This add-on allows you to display your tabs in different tiled layouts so that you can see them all at once and also works with tab groups. There are many options for displaying the tabs you want, horizontally, vertically, in a grid, and more. Each tab is conveniently in its own scrollable, clickable window with one tab. If you prefer to keep all of your tabs open in separate spaces, another handy add-on is Tab Preview [No Longer Available]. This simple tool shows you the page contents when you move your mouse over each tab. 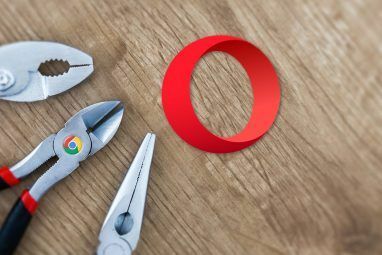 Although you likely have clear text on your tabs telling you what the pages or sites are, this is a great add-on for when the tabs become too small to read or even for when you have several tabs open for the same website and the tab text is less than helpful. When you have many tabs open all at once, it can be quite cumbersome to navigate to the one you need. Tab Grenade [No Longer Available] can help alleviate that by closing all tabs for you and placing their links in one place with just a button tap. This leaves you with just one open tab and a helpful list of links. You can then open them all back up, remove the whole group, close them one at a time, or open just one of them. ColorfulTabs is another favorite for tab organization because it allows you to color-code your tabs. You can set up presets so that certain domains always open in the same color, which is a wonderful feature. You can also choose a specific color for the tab you are using, highlight or blink your currently selected tab, and even turn tabs into minis. For spotting the tab you need at quick glance, ColorfulTabs is an add-on that definitely helps. 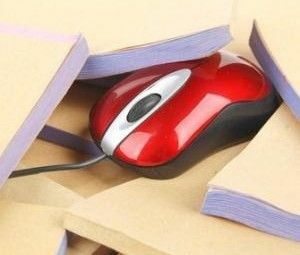 The point of bookmarks is to save pages and websites, but often we accumulate so many that we end up with an old, outdated list. Before organizing your bookmarks, do a cleanup with Bookmarks Checker [No Longer Available]. This add-on will scan your bookmarks for bad links, duplicates, empty folders, and other errors. You can select which folders to scan and what to scan for, which is quite useful. Then take action by whitelisting the bookmark or deleting it. Now that you have rid your bookmarks of bad links and duplicates, it is time to add some tools to help you find what you need faster. Bookmarks Preview [No Longer Available] is similar to Tab Preview in that you can see the content of the link before opening it by mousing over a URL from in your list. The nice thing about the preview you see is that it is scrollable and all links within it are clickable. Think about it — the possibilities are endless if you have links to tags in your favorite web bookmarking service. Another impressive add-on is Roomy Bookmarks Toolbar [No Longer Available] which lets you hide, auto-hide, and use multiple rows. One standout feature is if you choose to only display icons in your bookmarks toolbar, you will see the name display when you mouse over it. Along with this, you can decide how to display the icons, the labels, and the entire toolbar. There are various features that can make your toolbar organized, resized, and all-together a more productive tool. For a complete productivity package from Web to mobile, these four tools will keep you in sync. Beginning with Evernote Web Clipper, this add-on lets you clip an article or Web page, bookmark a page, share it, or simply take a screen shot with annotations. You can then easily access all items captured with this add-on using Evernote on the Web or on your mobile device. If you are an all-around Google user and fan of the apps, then GKeep Panel [No Longer Available] for Google Keep is a good tool. Add notes and lists, access your archives and reminders, and even include a photo or share a note right from the add-on. You can access all items saved or changed with this tool when you open Google Keep from one of your other locations. Pocket is another favorite when it comes to saving items you find on the Web. This convenient tool is part of newer versions of Firefox, but can still be added if you have an older version. Save items you find with a tap and apply a label immediately for even better organization. You can easily access your Pocket items by clicking the link within the pop-up and even remove the saved page if you change your mind. Pushbullet is a perfect add-on for syncing and accessing information from anywhere. Type a message or drop a file, send a screen shot or link, and do it all to your mobile devices or other computers. Pushbullet provides a fast way to capture and send information, photos, and files between your various devices or even to other people. Starting with Wunderlist, you can quickly add tasks to your any of your existing lists with the Add to Wunderlist [No Longer Available] tool. So, you do not have to stop what you are doing to grab your device or open the Web site, just tap and add your item. The page you are currently visiting is conveniently inserted into the task for you, but this can be edited to create a different task. For current Wunderlist users, this add-on is essential. Todoist is another popular task manager and the add-on is more powerful than Add to Wunderlist because you can do much more with it. Beyond just being able to add tasks, you can view your lists, notifications, and items by day. You can also mark completed items off your list, set up keyboard shortcuts, and search by filter. So, for Todoist users, this add-on for Firefox is a must-have. For those fans of Toodledo [No Longer Available], there is a Firefox add-on for you too. Quickly add tasks using a contextual menu. If you prefer, you can also use the toolbar button for one-click task additions. By right-clicking on a page, the link to it is automatically inserted into the notes of the task. There is also a sidebar available so that you can see your to-dos at a glance and stay on track. If you are a Toodledo-er, keep up better by checking out this add-on. Google Task users can use GTasks Panel [No Longer Available] as their companion for getting things done when using Firefox. With a tap, you can see all of your lists and each of your tasks. You can then mark items completed, edit details, sort to-dos, print items, and even more. There are tips to help you and this add-on for Google Task users really works well in Firefox. While the above tools can be used by and are helpful to most anyone, there are people who have a very particular need. From taking screen shots to specific searches to quick ways to share, there may be just the right add-on here for you to get tasks done faster and easier. 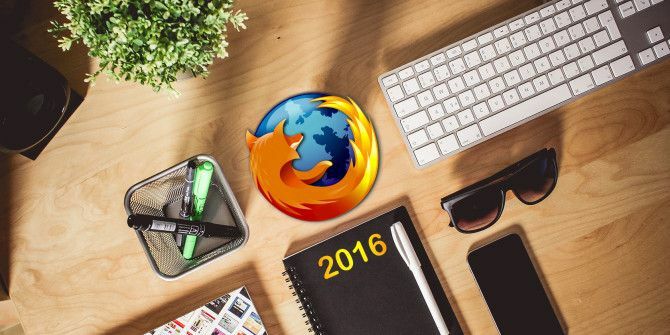 When it comes to becoming more productive, those add-ons for Firefox that give you quick and simple ways How to Work Smarter and Faster in Firefox: 4 Tactics to Try Today How to Work Smarter and Faster in Firefox: 4 Tactics to Try Today If you use the Internet daily for work, productivity is essential to your success. 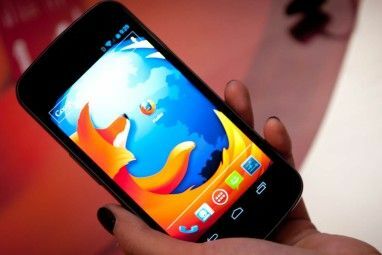 An effective strategy can be accomplished by using great Firefox add-ons to become faster, and more efficient. Read More of accomplishing activities and tasks are what make the difference. They help you work smarter, not harder, as the saying goes. This is key to productivity. What are your favorite productivity tools for Firefox? Are there specific add-ons that have significantly increased your productivity already that you would like to share? Have to give a shout-out for Buffer and Pocket--they are both great (though I still have to find time to read all the articles/pages I've saved using Pocket!). I'm going to check out a couple of the task organizers mentioned here. For Me, The Most Important Part Of A Browser Are The Extensions, Hands Down. Collecting .XPI Files Is A Must For Power Users. Using FF Without FEBE Is A Nightmare Waiting To Happen. Yes I'm a Pale Moon user too. The ones I think your missing is uBlock Origin, Mouse Gesture Suite, Open With, Quick Context Search, Restart Manager. Something that improved my productivity a lot was a switch to the Firefox-derived Palemoon browser, which has a nifty feature of "not constantly having weird new UI changes or new baked-in third party addons I didn't ask for." But seriously I think DictionarySearch is probably one of the handiest general-purpose Firefox addons out there. You might also mention mycroftproject.com, a repository for A9 Search plugins to make any non-Edge browser's built-in search features more useful.